Phenology is the study of recurring events in the life cycle of plants and animals, many of which are closely tied to patterns of climate and seasons. One important phenology event that scientists observe is the onset of lake stratification. 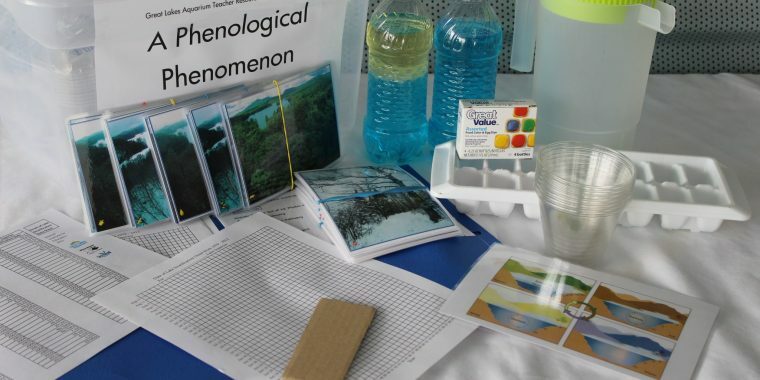 In this lesson, students will be introduced to the concepts of phenology and lake stratification before observing phenological data about the onset of lake stratification for Lake Superior. Students will graph the onset of lake stratification data for Lake Superior and make inferences from their graphs. They will also be encouraged to provide ideas for research projects that could shed light on the trends observed in their graphs.